The penultimate reading from the Shanghai Containerized Freight Index (SCFI) for 2018 saw continued erosion of spot rates on the transpacific, countered by gains on the Asia-Europe trades. With US retailers now reported to be overstocked after the advance booking rush to beat the postponed 1 January tariff hike on Chinese imports, demand is proving weaker than the seasonal norm, forcing carriers into heavy discounting. For the US west coast, spot rates tumbled another 8.9% this week, to $1,763 per 40ft and have now fallen by 32% since the beginning of November. And for US east coast ports, the SCFI spot rate declined by 5.2%, to $2,750 per 40ft, 24% below early November. 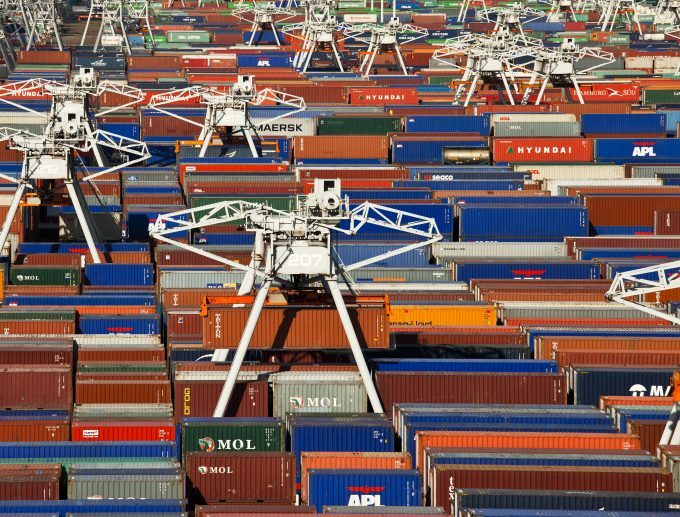 Carriers will hope that a new demand boost prior to the Chinese New Year factory shutdown in early February, along with a second pre-tariff spike, ahead of the revised 1 March deadline, will drive rates back up in time to influence the new transpacific annual contract negotiations beginning in March. In commentary to support the publication of its December XSI index, freight rate benchmarking platform Xeneta noted that the uncertainty surrounding the “cease fire” in the US-China trade war could result in a “bumpy ride” for the market next year, and possibly spark a fresh surge in demand. Elsewhere, and in contrast to the currently bearish transpacific market, the Asia-Europe tradelane has proved surprisingly resilient in the normally weaker period around the Christmas and New Year holidays. Rates to North Europe, recorded by the SCFI, were up again this week, by 4.8% to $872 per teu, and have now gained $120 per teu in the past six weeks. And Mediterranean ports saw a 2.2% ride, to $839 per teu, as the route proved equally robust. Carriers have been quick to take advantage of the European market strength, announcing increased FAK rates from January. For example, CMA CGM is hiking its 40ft FAK rate to North Europe by $200 on 1 January, to $2,200, and raising its 40ft FAK rate to west Mediterranean ports by $300, to $2,200. One carrier told The Loadstar December utilisation levels on Asia-North Europe westbound sailings were “still in the high 90s”, which he said was underpinning spot rates. However, 1 January marks the date many lines will be rolling out their new BAF mechanisms in readiness for IMO 2020 and in his monthly review of the container market, Alex Younevitch, managing editor of freight markets at S&P Global Platts, said there was “growing displeasure among BCOs at the bunker cost recovery mechanisms”.